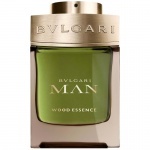 A unique signature built around a striking contrast: the cold freshness of green, citrus notes marries the oriental and intense sensuality of wood, creating a harmonious fusion. After a vibrant, green, fresh opening, the fragrance unveils a heart adorned with unusual, reminiscent notes of tuberose and neroli, heightened by spicy, ambery tones of white wood and musk. 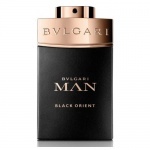 BVLGARI MAN IN BLACK’s distinctive top note of rum is adorned with frosted accents that are absolutely surprising.